This program is Fun and Easy! 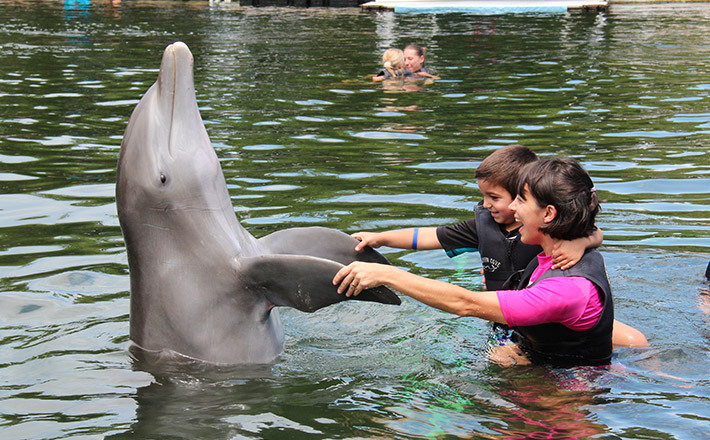 Our dolphins will come to you for interactive behaviors like body rubs, handshakes or kisses. Participants should plan on spending 1 to 1.5 hours at Dolphins Plus from arrival to departure. This includes the education, getting you ready, the encounter itself which is not timed and checking out through our photo department and gift shop.